Using our years of experience, innumerable student papers, and countless hours of helping students tackle the hardest APA problems, we’ve identified the top 19 mistakes that students often make in their APA formatting. Take a look and see how to avoid these troublesome mistakes – and how PERRLA can help! You can also download this as a PDF here. The running head of your paper must be an abbreviated version of the title of the paper no longer than 50 characters (including spaces). Although you have a Title page, the title of your paper should also be on first line of your actual paper before the introduction. It should be centered, initial capitalized, and unbolded. The title of your paper should mirror the title of the assignment you’ve been given whether it is in your syllabus, on a grading rubric, or given to you in class. This lets you and the teacher keep the assignment and the paper coordinated. PERRLA will properly format the title you enter. After you’ve created it, you can edit your title page information at any time by using PERRLA’s built-in Edit Title Page function. No one likes to be left alone – headings are no exception. You should avoid having your headings and their text be separated by a page break. If your heading does get left behind on a page, enter some hard returns or page break so that the header accompanies its text on the next page. Using PERRLA in Word means that you won’t have this problem because of its Widow and Orphan Control. This is a tricky one. When using a date in a sentence, you should put a comma after the year. For example, “Sasquatch was first captured on April 1, 1986, in Spokane, Washington.” Make sure this little extra comma doesn’t catch you off guard. APA papers should only use one font. We see lots of papers with different fonts for different parts of the paper – one for the body of the paper and another for the running head and references. Although different fonts may make a paper look “pretty”, APA has very little appreciation for art. PERRLA does appreciate art, but it knows your APA paper isn’t the place for it. It automatically sets up your papers with a default font of Times New Roman at 12 points. But you have to be careful when pasting in text from outside sources (like the internet). They can sometimes bring unwanted formatting along with them. You can check out our Knowledge Base Article, “Font Changed” to learn about avoiding this issue. The reference page’s header should be “Reference” unbolded, centered, and Initial capitalized. This one is tricky if you are trying to do it yourself. 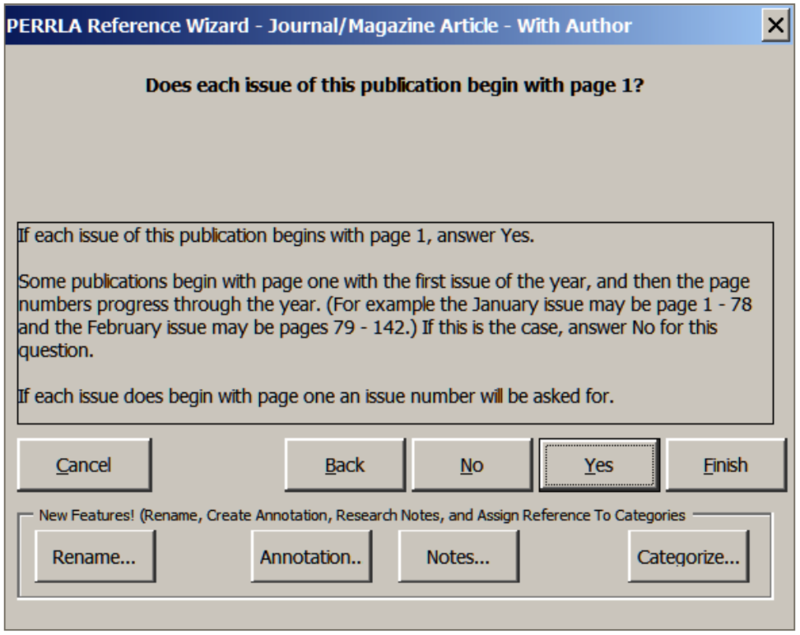 Periodical references like journals, magazines, and newsletters, should include the issue number in parentheses immediately after the volume number if the periodical is paginated by issue. If each issue doesn’t start with page 1, only include the volume number. In PERRLA, we’ve painstakingly worked to add helpful text to each step of the Reference Wizard. Following their directions means you’ll never be steered in the wrong direction! Although we don’t use it very often in everyday language, it’s necessary to include the “http://www.”, “https://www.”, etc. before any URL. While you may not need this to find the site on your browser, you do need it to keep your APA formatting in line. You’ll find that ellipses are necessary parts of some APA formatting requirements. Most modern word processors will automatically add small spaces between each period of an ellipses once you type three of them in a row. But, if yours doesn’t, make sure you add a space between each period. While the APA guidelines don’t specify which way is preferred, they do ask that you stay consistent in whichever method you choose. Titles are some of the most confusing parts of any formatting system and APA is no exception. There are two places where website titles can go wrong. The first is in the reference or citation itself. In a reference, the title should be italicized and only capitalize the first word of the title/subtitle and any proper nouns (like a normal sentence). PERRLA’s Reference Wizard helps students catch this by providing help text as you enter the website’s title. All you have to do is enter the title, we take care of the formatting like usual. You can also encounter a website title in the body of your paper. In this case, you need to determine if the particular website you’re referencing is part of a larger entity (like a specific article on an online encyclopedia) or whether it stands alone as a page itself (like a video link or online document). Each of these is treated differently. 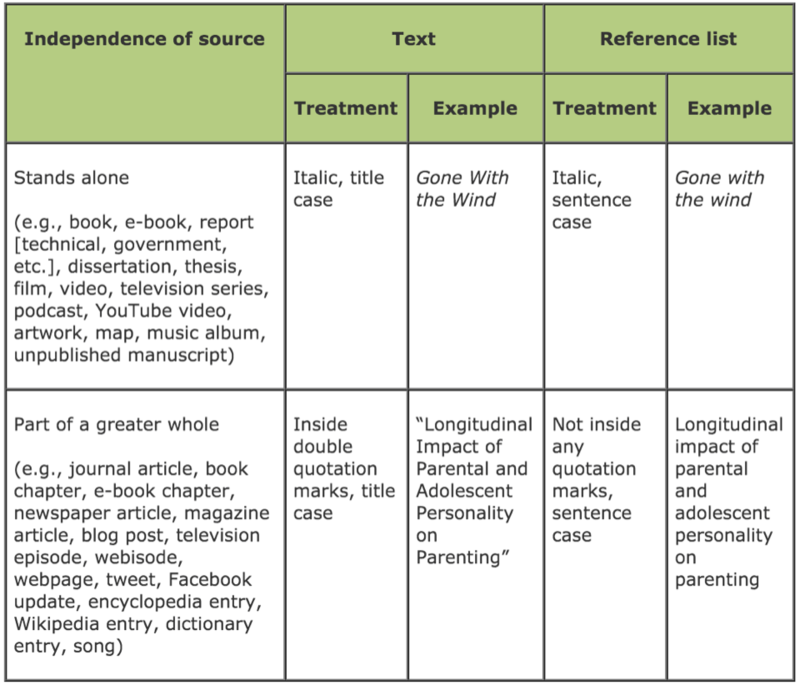 While it is confusing, this table from Chelsea Lee on the APA’s style blog can be very helpful. You can find “How to Capitalize and Format Reference Titles in APA Style” on APA Style at http://www.blog.apastyle.org. Journal titles can be really long sometimes. But, as tempting as it is, you shouldn’t ever abbreviate the title in your reference – even if it is obvious what journal you are referencing. 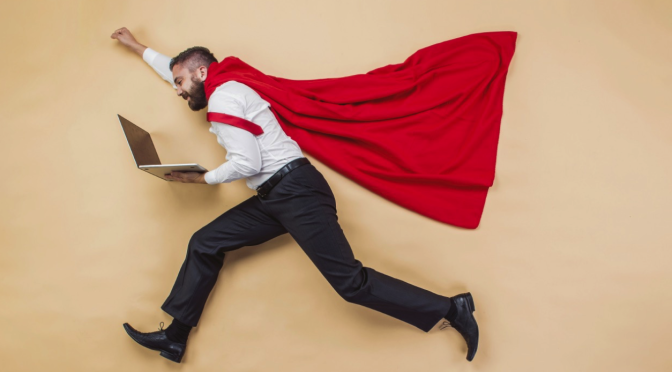 It’s important to know that most online sources contain a publication date – especially if they are reputable enough to be used in a research paper. A copyright or updated date can often be found at the bottom of the website’s page. In situations where there really isn’t one, make sure you put “n.d.” for the date in your reference. Like all of the steps in PERRLA’s Reference Wizard, we offer this helpful piece of advice in the Help Text on that particular step. The spacing between paragraphs should be exactly double. By default, Word often puts a 6 point space after you press Enter. This means that the space between your paragraphs can be a bit larger than it should. PERRLA takes care of this for you. By using PERRLA to write your paper, you don’t have to worry about the spacing between your paragraphs (or anywhere else)! Title case is the method for capitalizing certain titles in APA. In title case, you capitalize the first word and all following words except for articles (a, an, the), conjunctions (and, but, or, etc. ), and propositions (on, in, with, etc.). One word that seems to slip by more than all the others is “of”. Unless it is the first word in the title, don’t capitalize it. 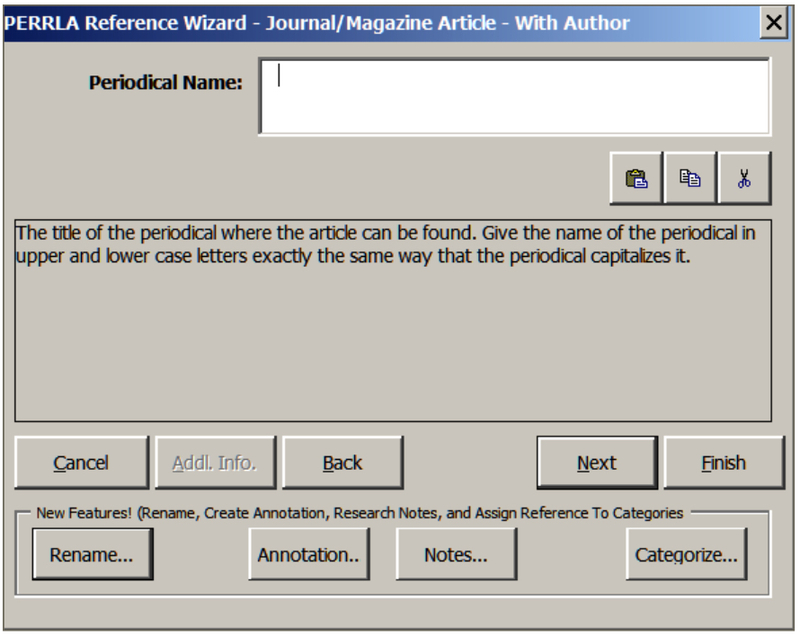 PERRLA’s Reference Wizard offers a helpful tip for ensuring that your reference’s title is always capitalized properly: copy the title of your reference in exactly the same way that the periodical capitalizes it. When in doubt, follow the example of the professionals. Subtitles are the part of a title that comes after the colon. While this isn’t the first word in the title, it should be treated like it and always capitalized – even if it is an article, conjunction, or proposition. There are lots of places to use colons: emoticons, before a list, and joining an independent and subordinate clause. But, you should never use one after “Retrieved from” in a website reference in APA. Like all of the over 300 different reference types, PERRLA perfectly formats website references so that there aren’t any mis-placed colons. Everyone sounds cooler when they’re referenced with their initials. Just make sure you give each initial the space that it needs by putting periods and spaces after the letter. Although we may know who you mean when you say “Roosevelt, FD”, a name like Franklin Delano Roosevelt should be given the gravitas it deserves: “Roosevelt, F. D.”. PERRLA’s Reference Wizard not only gives you the help text to enter this information correctly the first time, it also keeps all of the initials in your references in the perfect (and cool) APA format. You can download this to keep or share it with everyone who needs some guidance to ace their APA formatting.